Why an e-cookbook, you might ask? 1. It’s reasonably priced enough that anyone who stumbles upon the site and has the faintest inkling to bake without sugar can buy it! It’s definitely student budget-friendly. 2. I wanted to provide y’all with the printable, pagelong versions of the recipes. That way you can just print what you want as you go. J You hip, tech savvy folks with Kindles and E-Readers and whatnot can even carry the book around with you. 3. It’s stuffed with full color, high quality photos. An extensive section on How To Bake Sugar-Free, packed with photos! In the mean time, here’s some quick n’ easy ice cream to savor the final days of summer before the business of fall begins. Just add ingredients to food processor and blend it up for creamy, low carb strawberry soft serve ice cream, made in seconds! If using frozen berries, keep them in the freezer right up until you are ready to make the ice cream. To prepare fresh strawberries for freezing, cut off the tops of the strawberries, and slice them into pieces roughly 1/4″ thick. Arrange on a wax paper or parchment lined cookie sheet in a layer and freeze until solid. 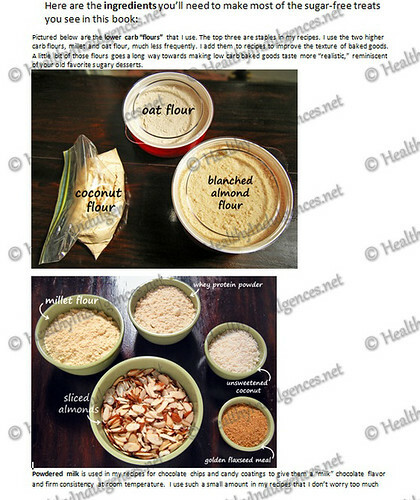 Grind erythritol in food processor until powdered, if using. Add frozen berries and the rest of the ingredients to food processor and process for 1-2 minutes, scraping down the food processor as necessary during the process. For the best texture, serve ice cream immediately to enjoy soft serve, or spoon it into a dish and freeze for 1-2 hours until it is scoopable. 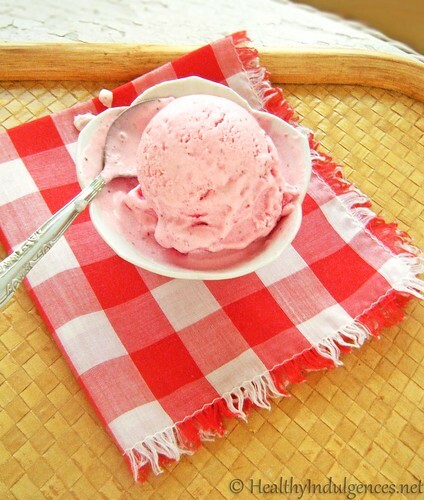 If ice cream has been frozen for many hours, reheat in microwave for 15 seconds, or until soft enough to scoop it out. **If using coconut milk, add 1 Tablespoon coconut oil to fudge sauce with the coconut milk. Add cream or coconut milk, stevia, sea salt, vanilla, and sweeteners to a microwaveable glass measuring cup or bowl. Heat for 1 minute on HIGH. Whisk in chocolate and xanthan gum until chocolate is melted and sauce is smooth. Sauce will thicken a little as it cools. Pour into jar or other container for storage and allow sauce to cool to room temperature before sealing and storing in the fridge. Reheat for 20-30 seconds before every use since the fudge becomes quite firm in the fridge, just like the real deal! P.S. Check out the comments section of the post on Instant Chocolate Cake to see tons of great ideas for healthy portable lunches. Thanks to everyone who commented! Are you ready for fall yet? Are you excited about the e-book? « Healthier Peanut Butter Cookies (aka Fresh Peanut Butter Cookies!) – A lower sugar, high protein version of classic PB cookies. 54 Comments on Announcing an E-COOKBOOK (!!!) 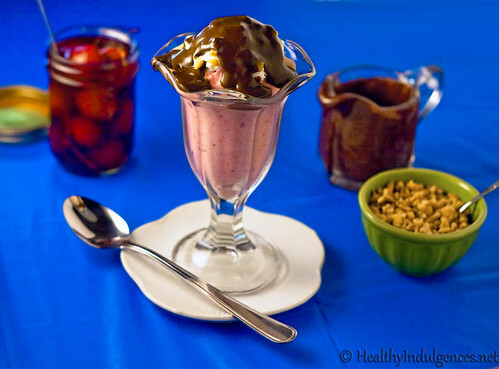 and Instant Ice Cream and Hot Fudge Sauce for Sugar-Free Sundaes! Lauren, this is very exciting! I will definitely be purchasing a cookbook on Sunday (can't wait)! You have been of SO MUCH service to the special-diet community, I'd buy a mud-pie recipe book from you if that's all you sold! 🙂 Good luck in your new year at school (when will you be finished with your degree(s))? And thanks for all you do. Will the e-book have metric (grams / ml) measurements please? Or is there a reference page inlcluded – listing how to convert a list of common ingredients into their metric equivalent please? ½ Cup Coconut Oil = XYZ grams (or ABC ml) of Coconut Oil. At the moment I spend ages looking up each ingredient online to convert the measurements. That’s a wonderful idea for the 2nd edition of the cookbook… or for the FAQ section of the website. 🙂 I do have those measurements written down here and there, and will be gathering them up for making a table of conversions. Can’t problem when it’ll come together, but I appreciate the reminder concerning the measurements issues. Great to hear from a reader across the pond, Claire! This is so exciting! I will definitely buy your ebook as well. I am making the healthier baked oatmeal every week! I love sharing it with friends and family. My dentist even loves them! I even take them in the car, when I know I won't be home for meal times. Thank you for all you do! Exciting news about the e-book, Lauren!!! I'm really looking forward to gettingit. I'm so in on this! I hope the ebook will be compatible with the Kindle Fire. The Kindle version is coming soon, Jill! Working with someone to get it formatted for that platform now. 🙂 The .pdf version is up now! Lauren, can you specify how much xanthan gum to use in the hot fudge? i see it in the preparations section but not in the ingredients. thanks! I just found you today but I am SOOOOO excited about this book! 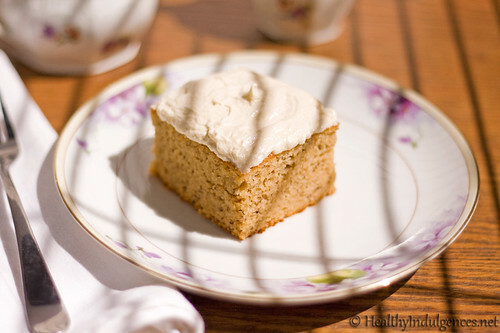 I am really devoting myself to sugar-free, wheat-free eating almost 100% of the time but I love my treats, and your recipes will help me stick to it. 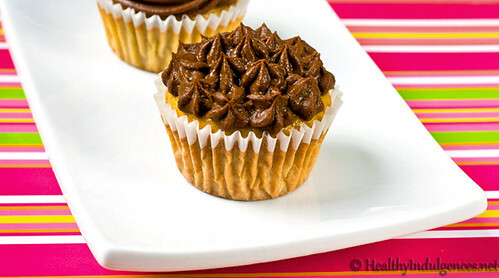 I love that you offer alternatives on the ingredients – saves a lot of experimenting! Yes, cannot wait for your e-book to be available for purchase!!! Congratulations and thank you!!! Jamie, thank you for being vigilant! It’s so cool of you to look out for me like that. 😀 Turns out it was a snafu of my own doing as I worked out the kinks switching from Blogger to WP! P.S. Love the “facelift” your site has gotten with the customized beautiful banner. Nice work, lady! Congrats on the recipe book Lauren! I’ve been a fan of your blog since you posted the chocolate bean cake recipe. I’m going through “extended undergraduate education too” hah-, 22 and still only in my junior year because I kept having to take semesters off due to illness. So i totally understand how you feel. Love the re-design of your website by the way! 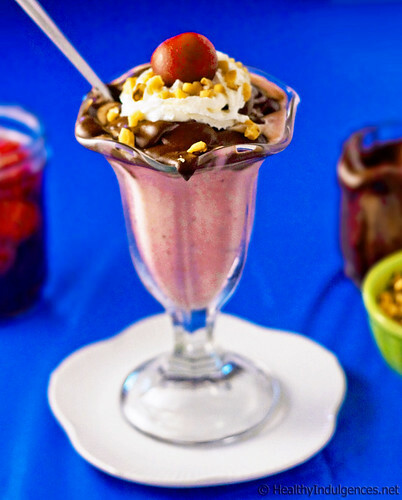 The ice cream and chocolate sauce recipes are the absolute best! Thank you! It’s Sunday the 26th…where’s the book? 😀 I can’t wait to see it. Fun! Looking forward to your e-book! I’ve always wanted to write one myself. Just ordered! I have been a fan for awhile and have recommended your site to so many others. It is a pleasure to support you in this way! Thank you! So funny and delicious recipe. Xylichew naturally better fruit, sugar free chewing gum comes in 100 piece canisters. It is sweetened 100 percent with xylitol for healthier teeth and gums. contribute to the discussion. Usually it is a result of the passion communicated in the post I looked at. And after this post Announcing an E-COOKBOOK (! !!) and Instant Ice Cream and Hot Fudge Sauce for Sugar-Free Sundaes! a famouus blogger if ʏoou are not alгeady 😉 Cheers! savvy so I’m not 100% sure. Any suggestions or adevice would be greatly appreciated. Hi there everyone, it’s my first pay a quick visit at this site, and post is genuinely fruitful designed for me, keep up posting these articles or reviews. I have learn several good stuff here. Definitely worth bookmarking for rein.vtiigsI wonder how so much effort you set to create one of these magnificent informative website. Hola, carlos! !Te cuento… Hice una página de Facebook para mi empresa y quiero ponerle el nombre de la misma, pero me obliga a poner mi nombre, cómo hago para que figure el nombre de mi empresa?? Ya cree la página y no se como cambiarlo, por favor ayu!!me!aGraciasd!! I have you saved as a favorite to look at new information on your website. It’s one of the games which made me think about considering myself a gamer in the first place, a few years ago. It is currently the only game I play somewhat regularly. I have not used its public voice chat ever and do not plan to start doing so any time. I sometimes have to choose to either ignore other players’ behaviour or to discontinue playing, because I wouldn’t be able to fight it either. That’s all there really is to say on the matter, sadly. to…HaHa). You certainly put a new spin on a topic that has been discussed for years. LOVE HOT FUDGE EVERYTHING! AND ALL OF YOUR RECIPES!.